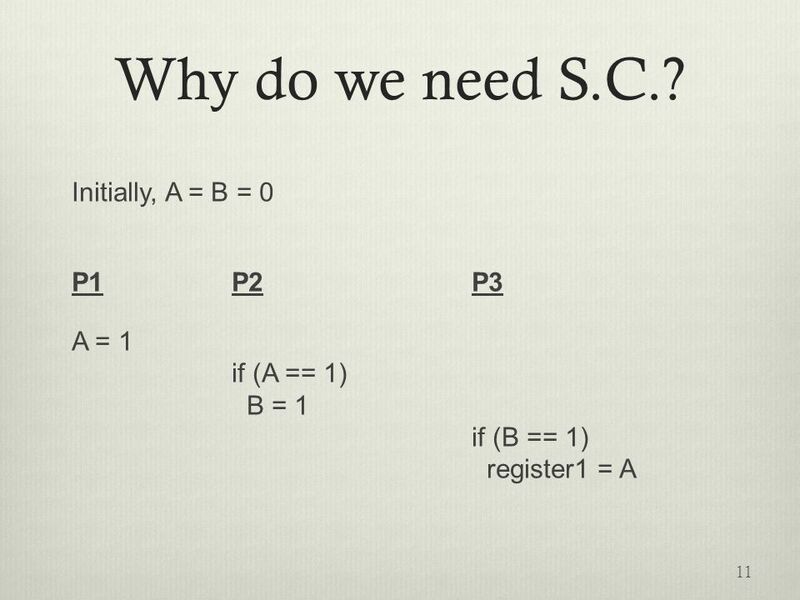 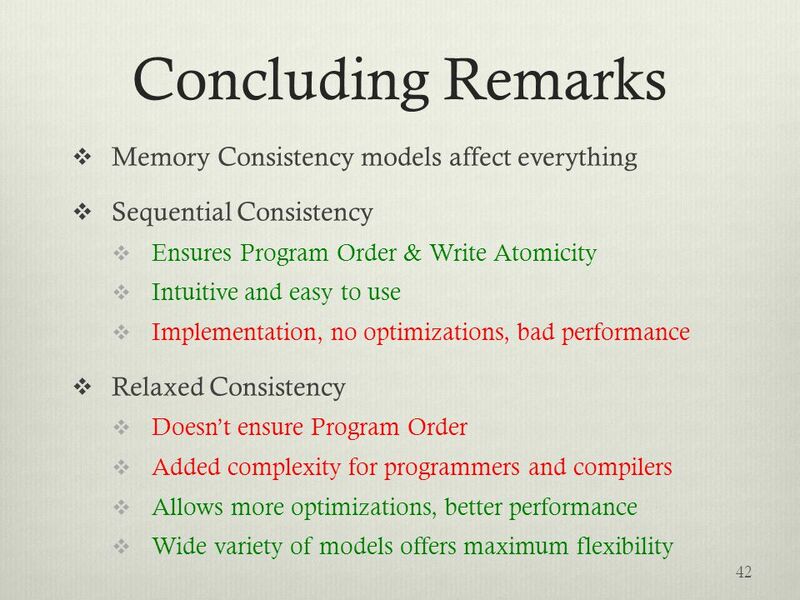 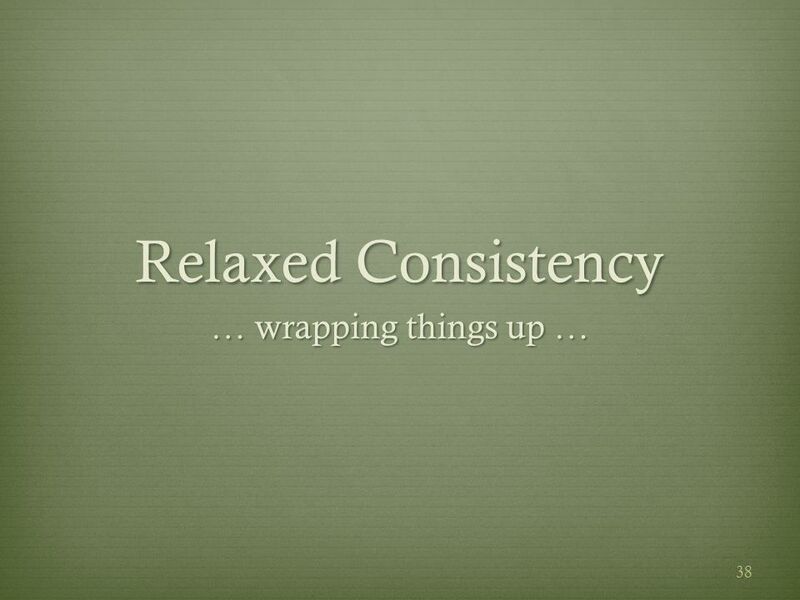 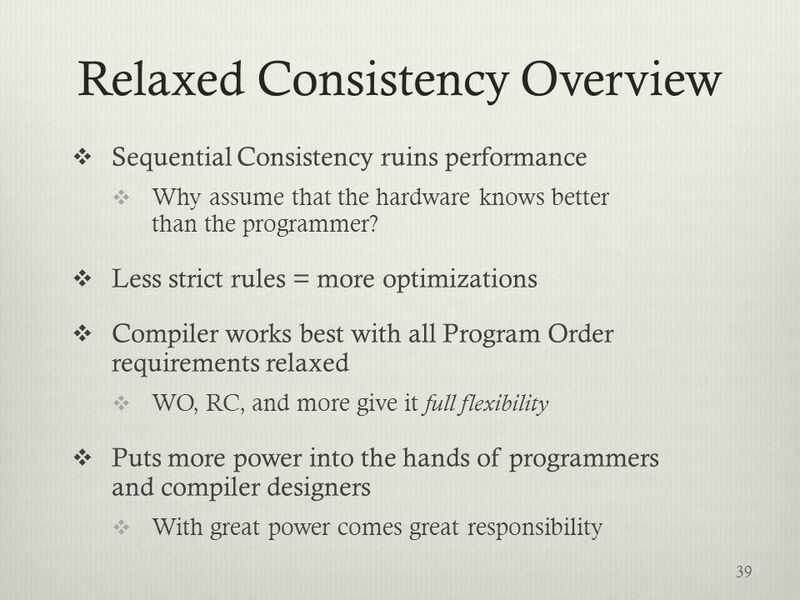 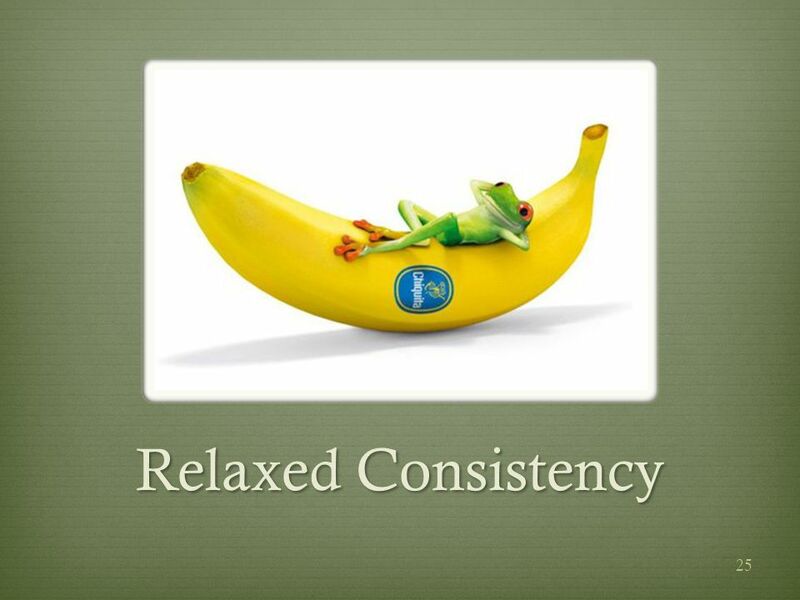 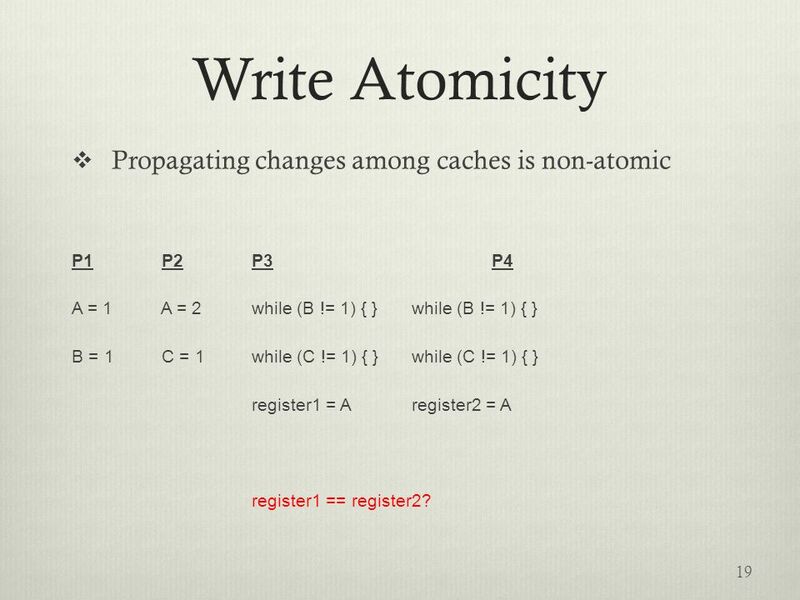 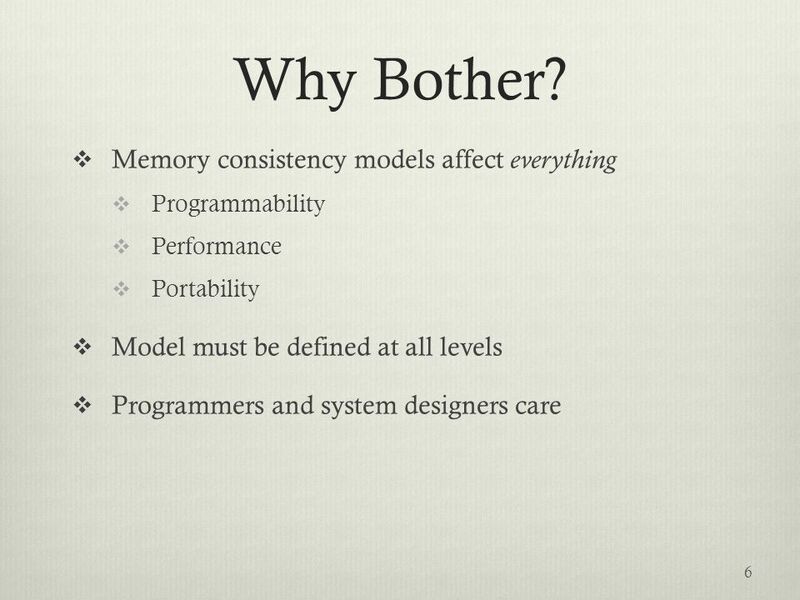 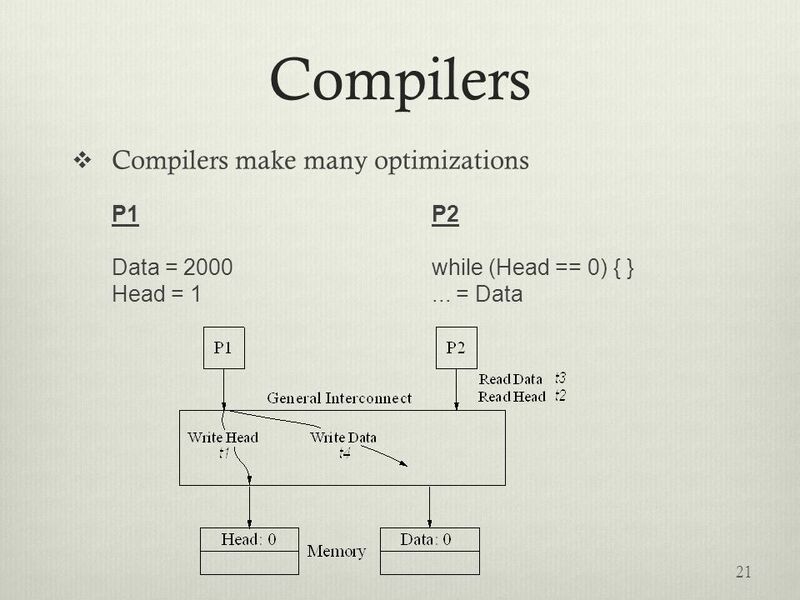 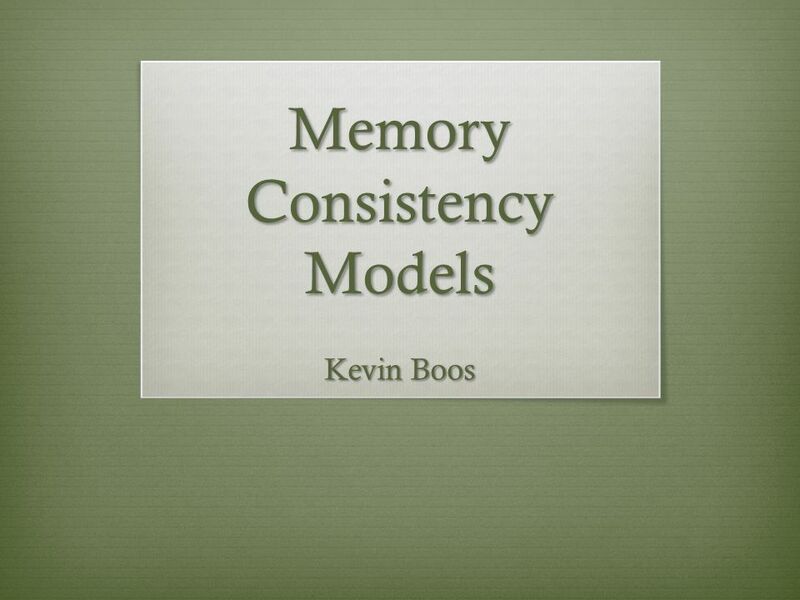 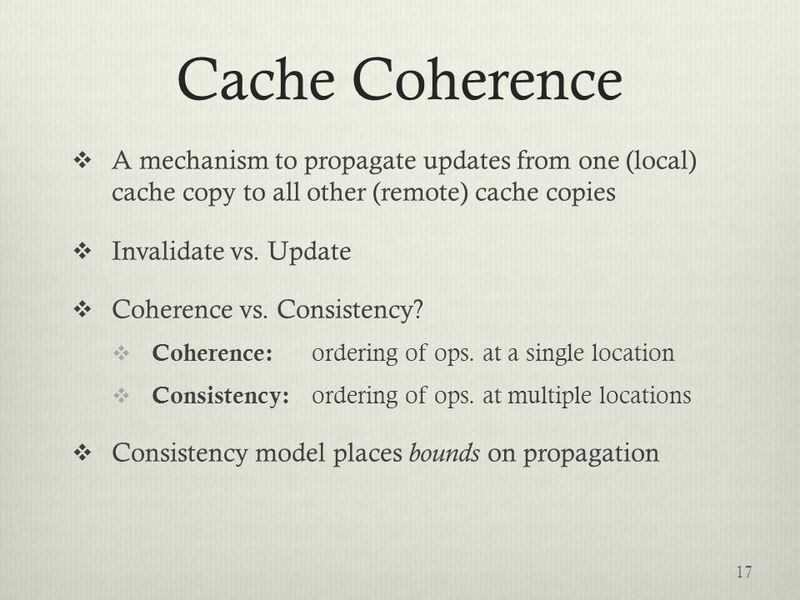 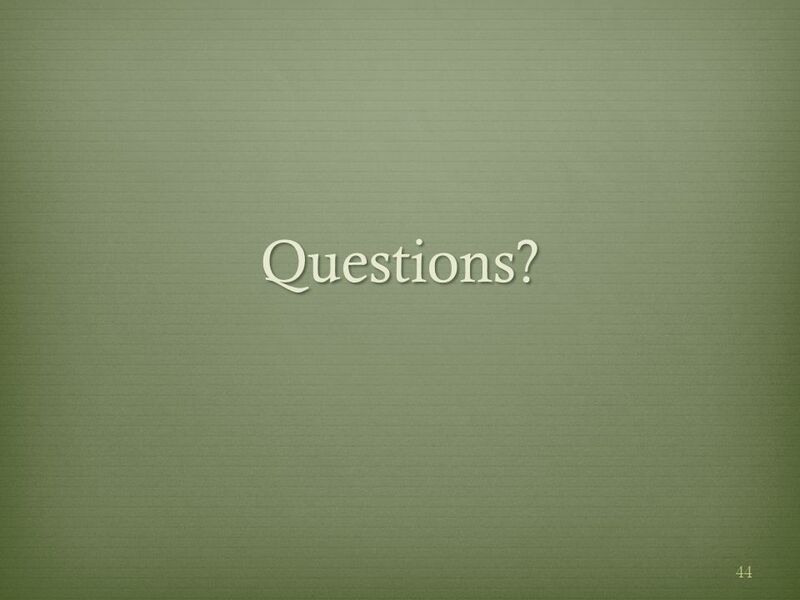 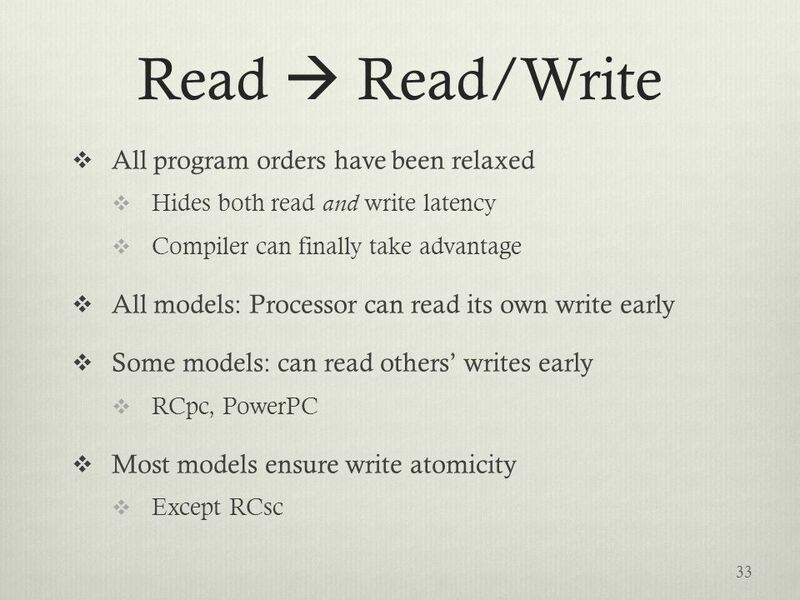 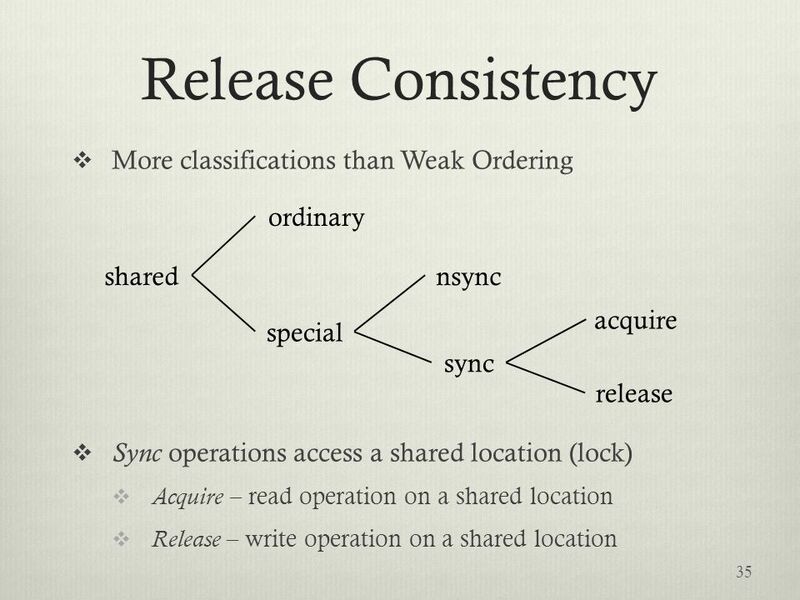 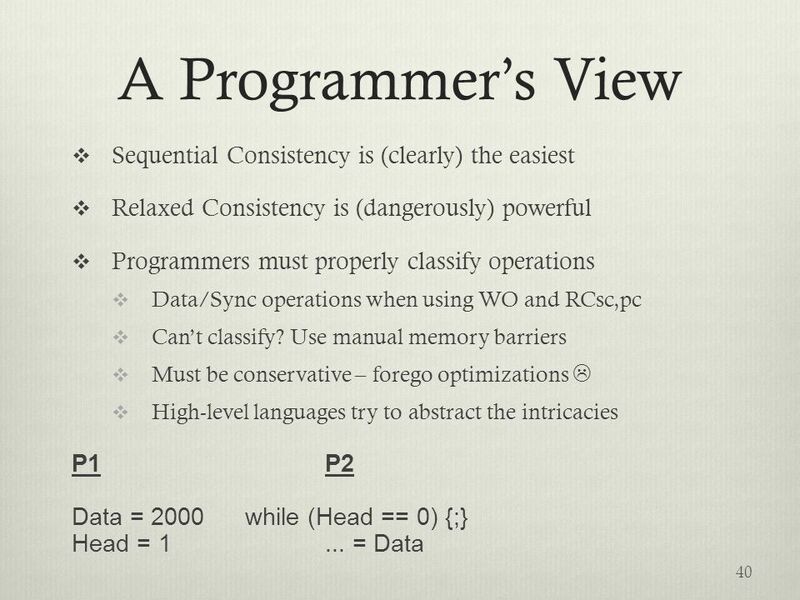 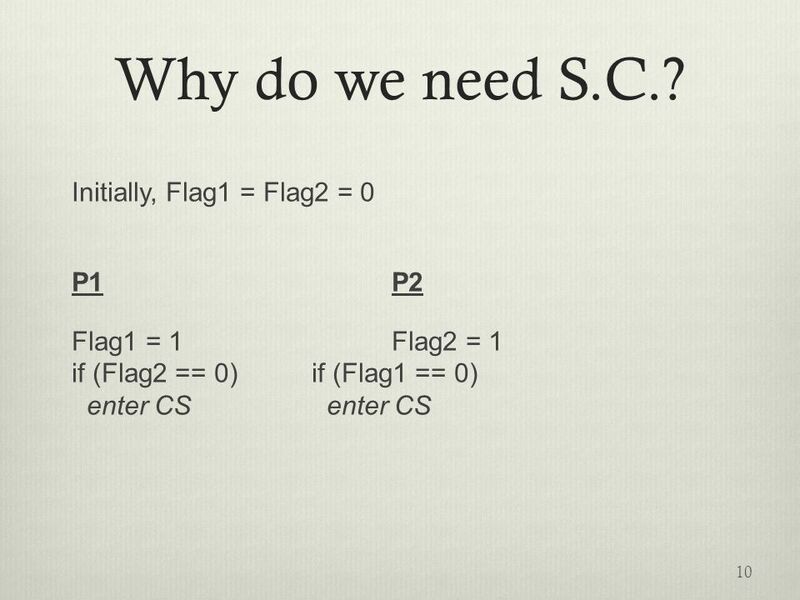 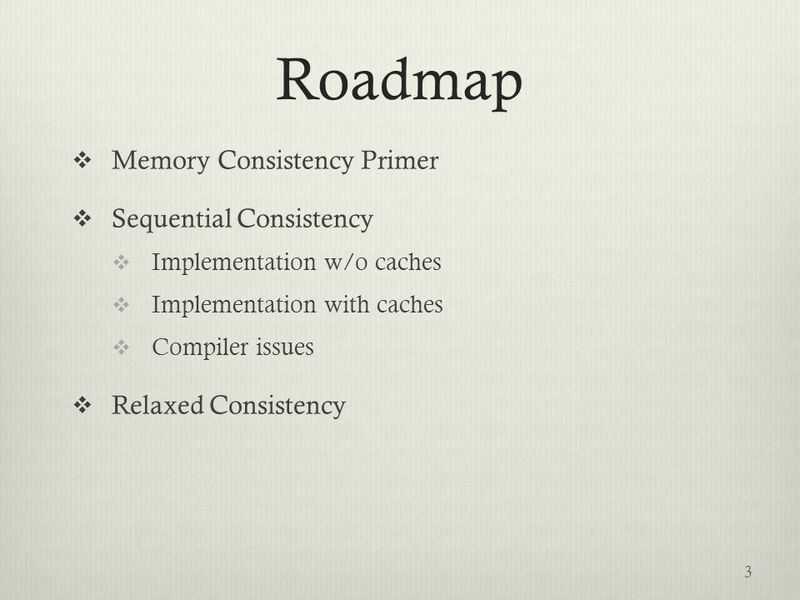 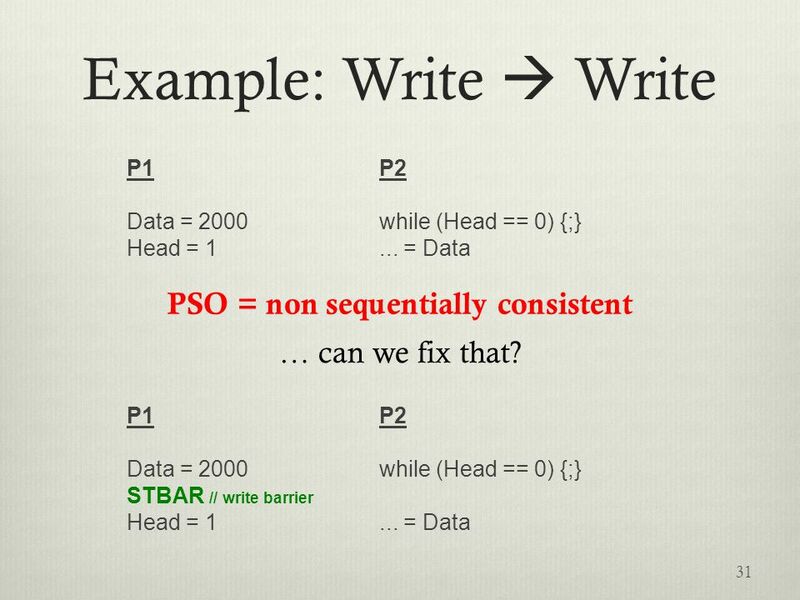 Download ppt "Memory Consistency Models Kevin Boos. 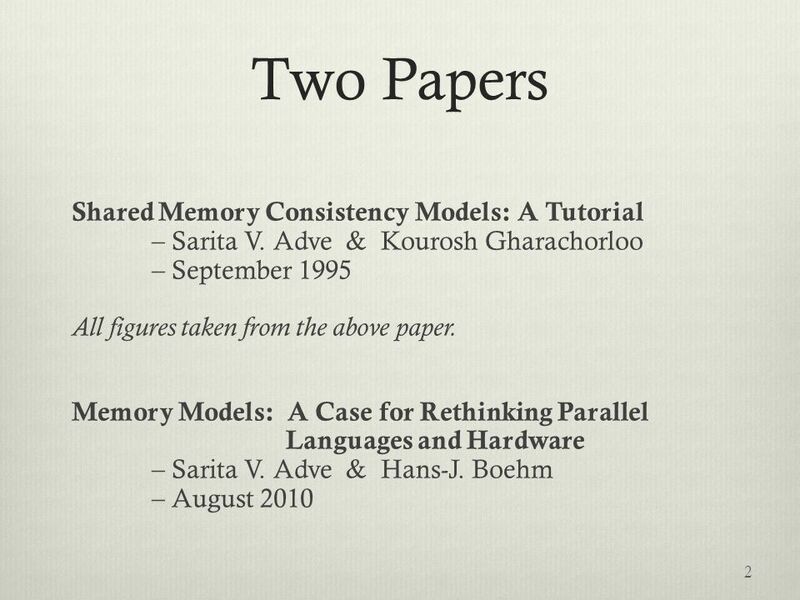 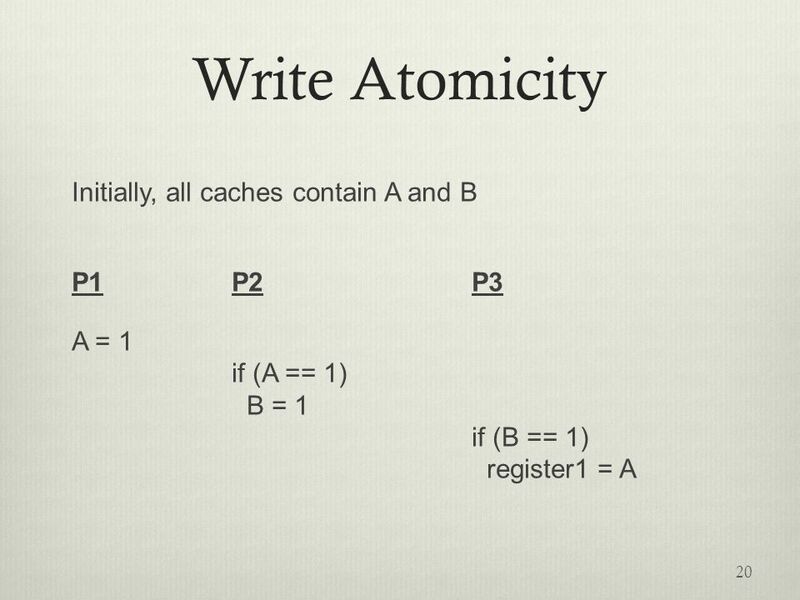 Two Papers Shared Memory Consistency Models: A Tutorial – Sarita V. Adve & Kourosh Gharachorloo – September 1995." 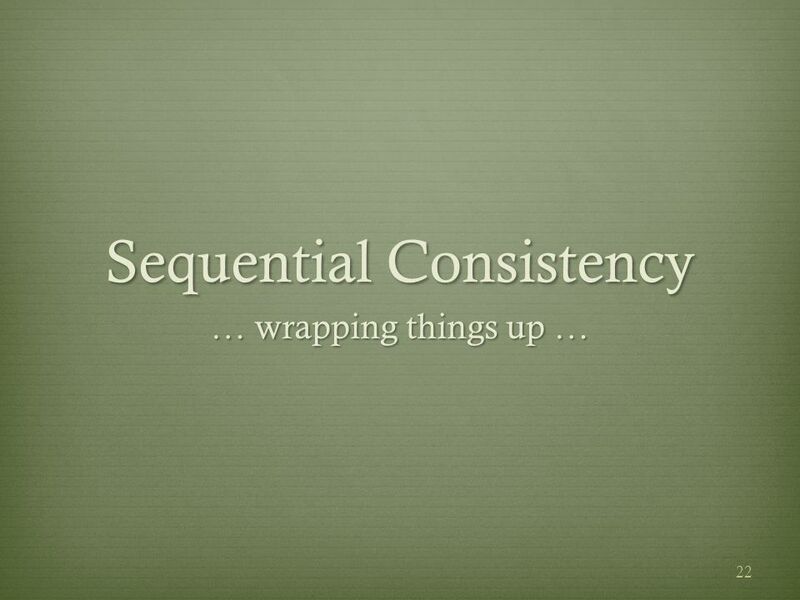 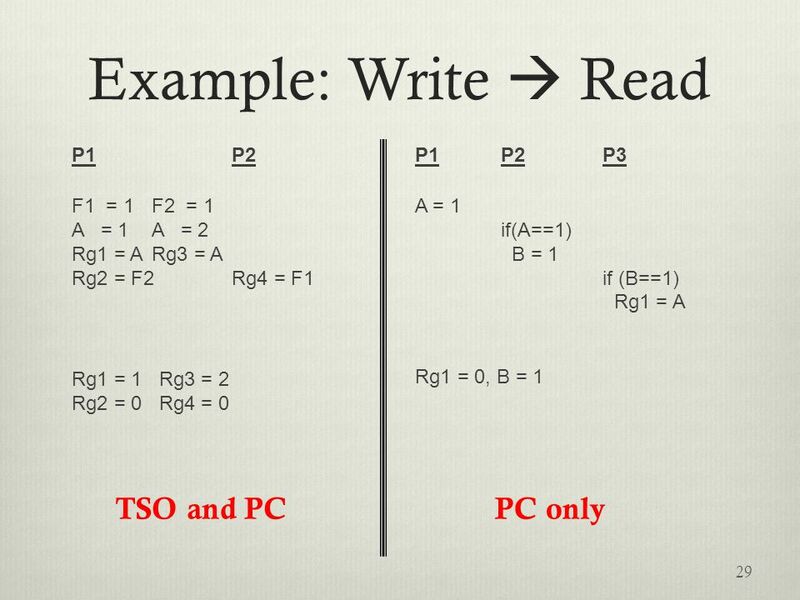 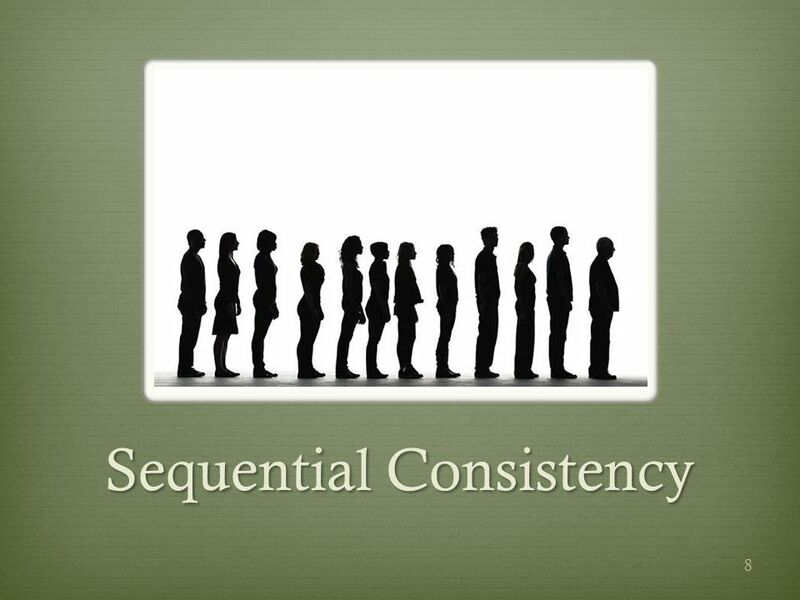 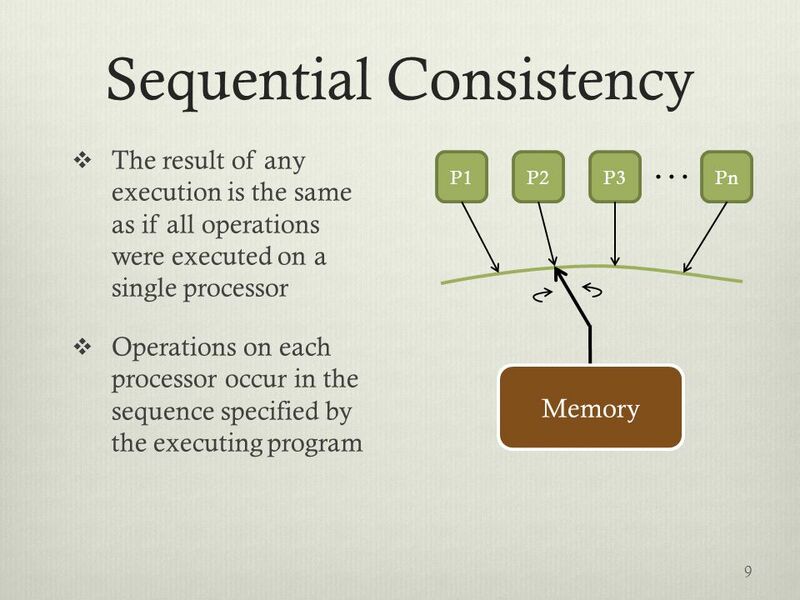 Symmetric Multiprocessors: Synchronization and Sequential Consistency. 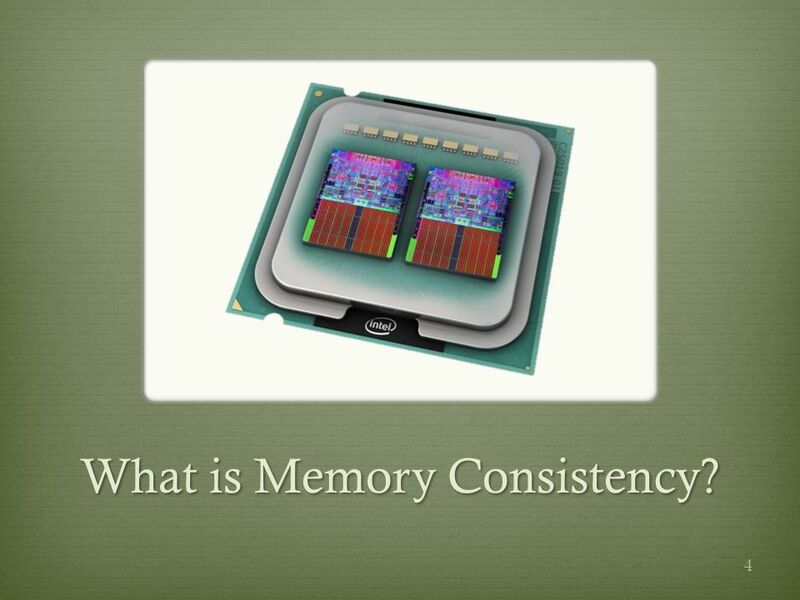 Memory Consistency Models Sarita Adve Department of Computer Science University of Illinois at Urbana-Champaign Ack: Previous tutorials. 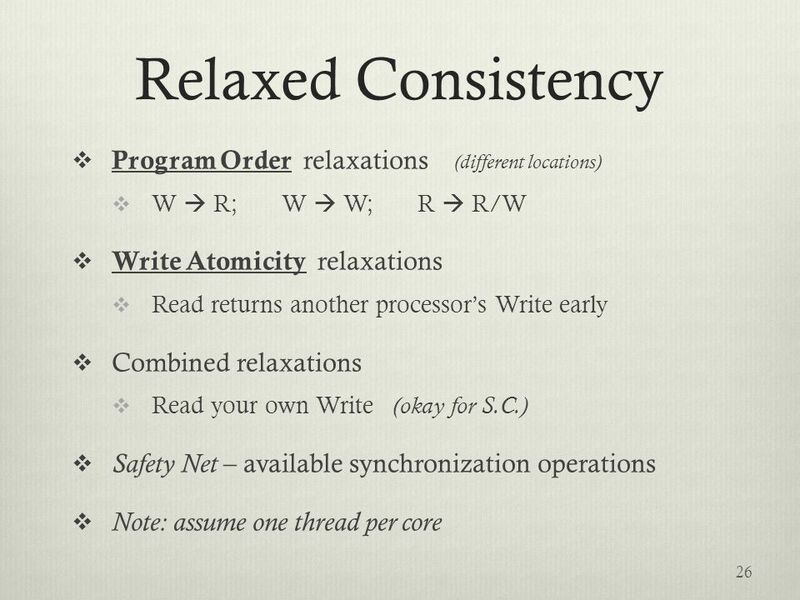 Synchronization. 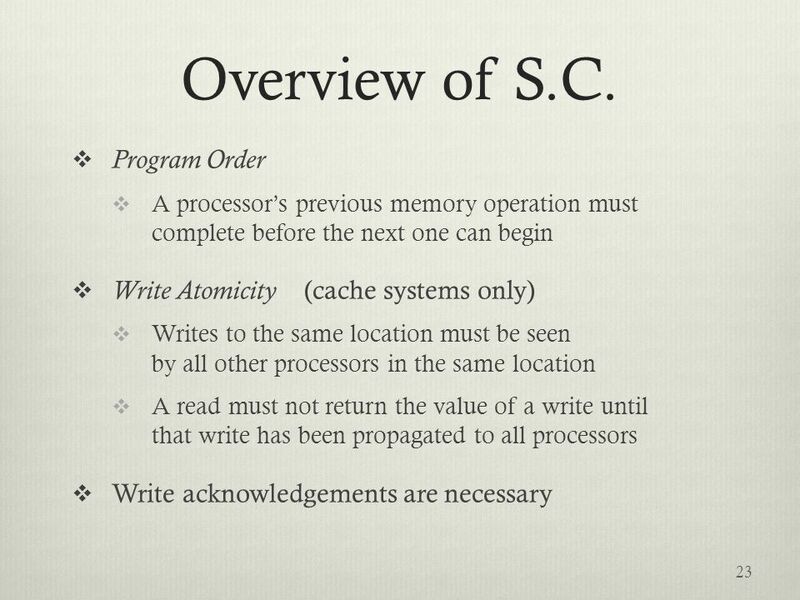 How to synchronize processes? 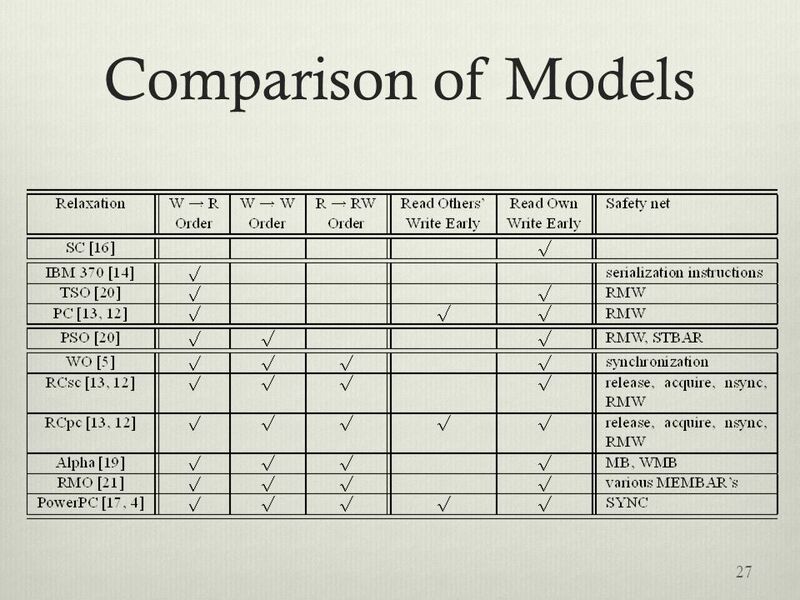 – Need to protect access to shared data to avoid problems like race conditions – Typical example: Updating. 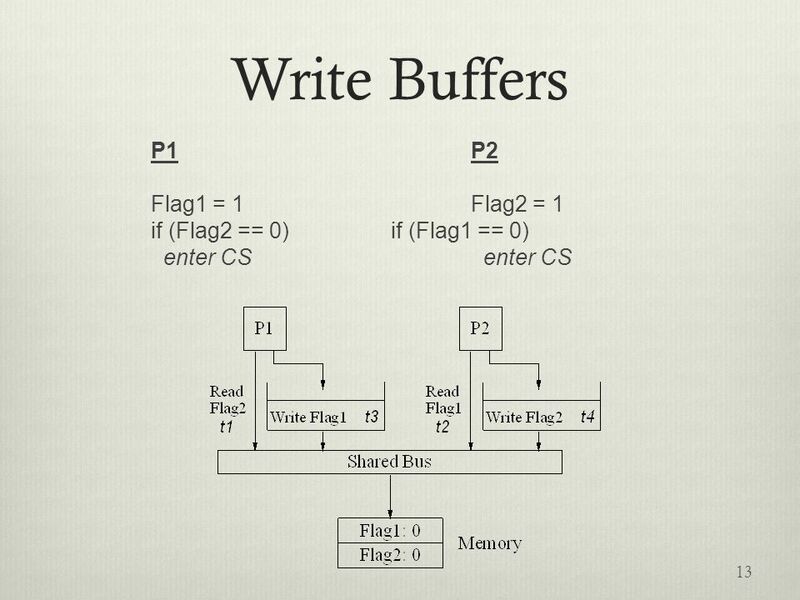 “FENDER” AUTOMATIC MEMORY FENCE INFERENCE Presented by Michael Kuperstein, Technion Joint work with Martin Vechev and Eran Yahav, IBM Research 1. 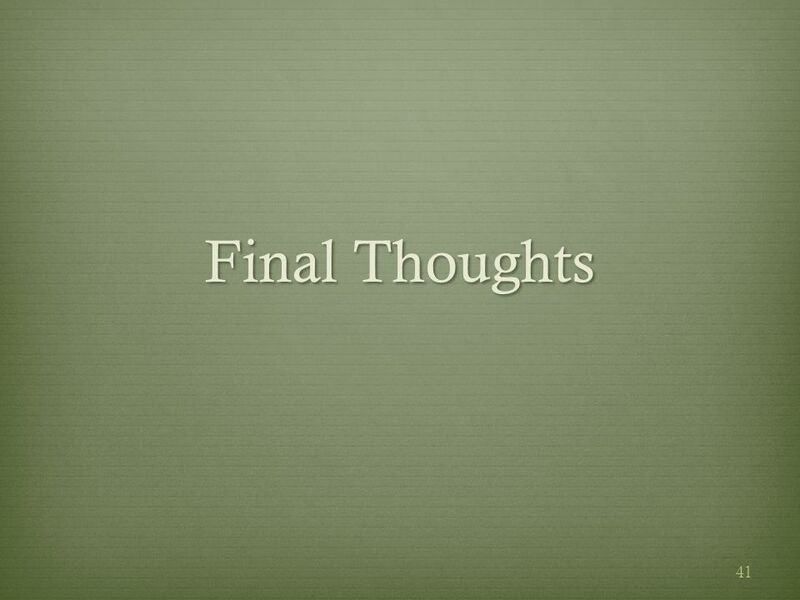 Chapter 8. 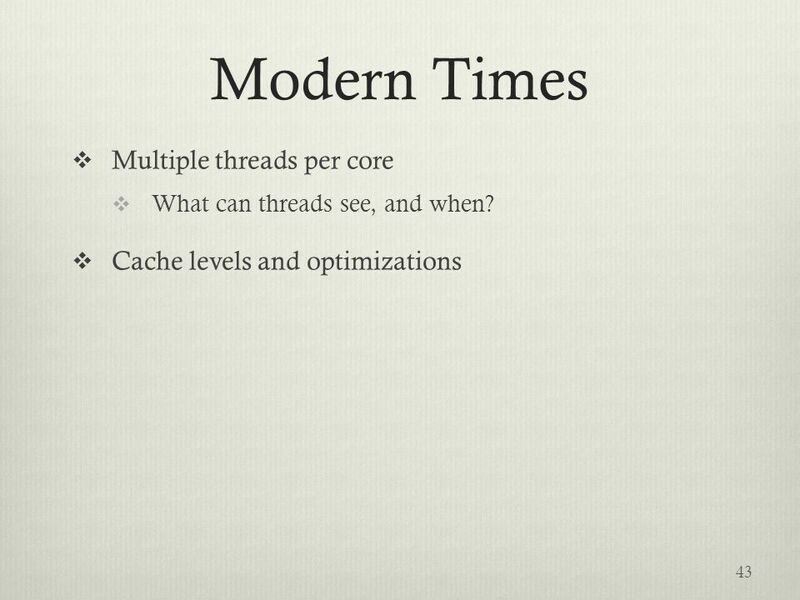 Pipelining. 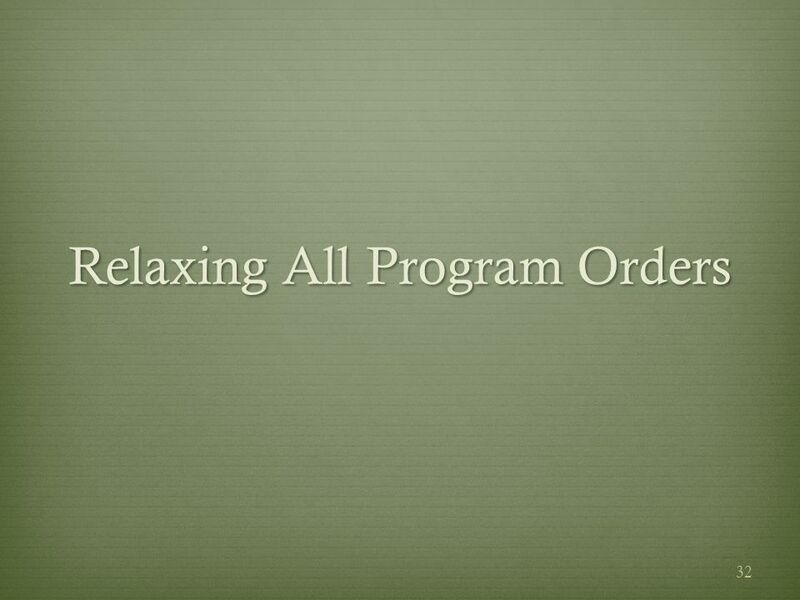 Instruction Hazards Overview Whenever the stream of instructions supplied by the instruction fetch unit is interrupted, the pipeline. 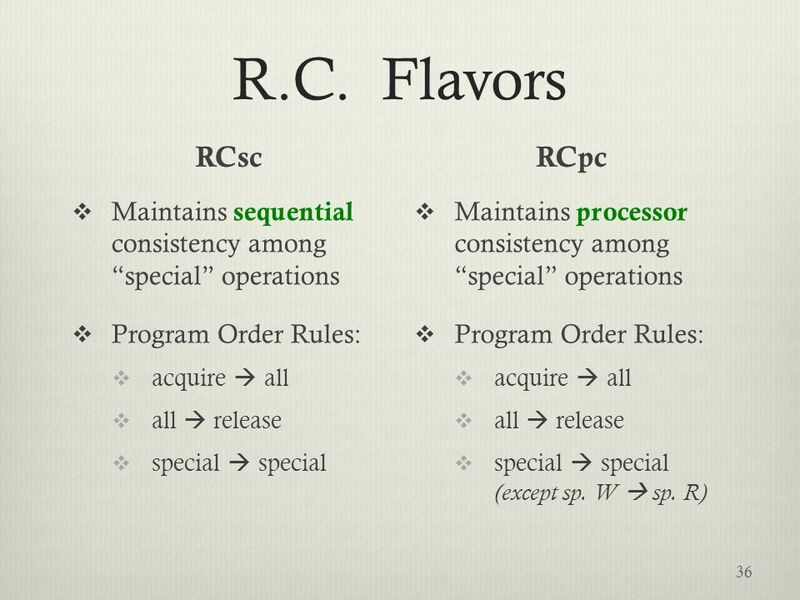 CS492B Analysis of Concurrent Programs Consistency Jaehyuk Huh Computer Science, KAIST Part of slides are based on CS:App from CMU. 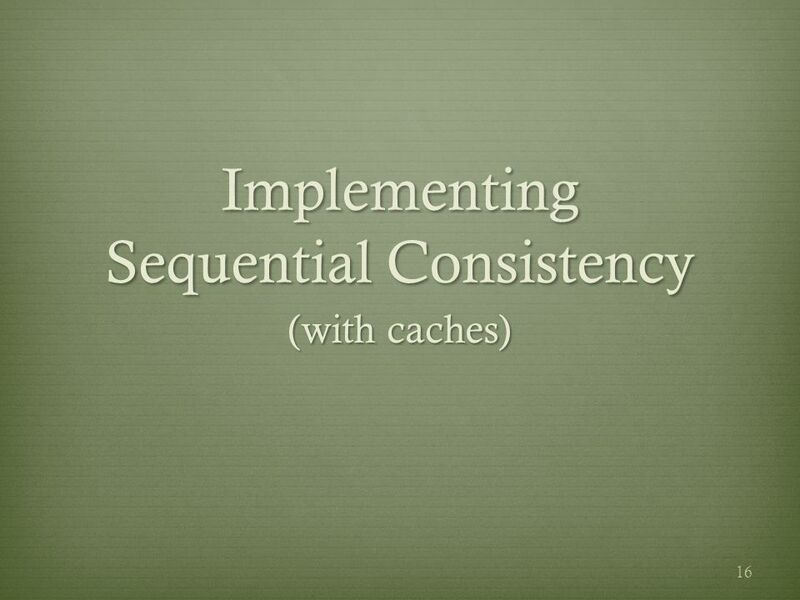 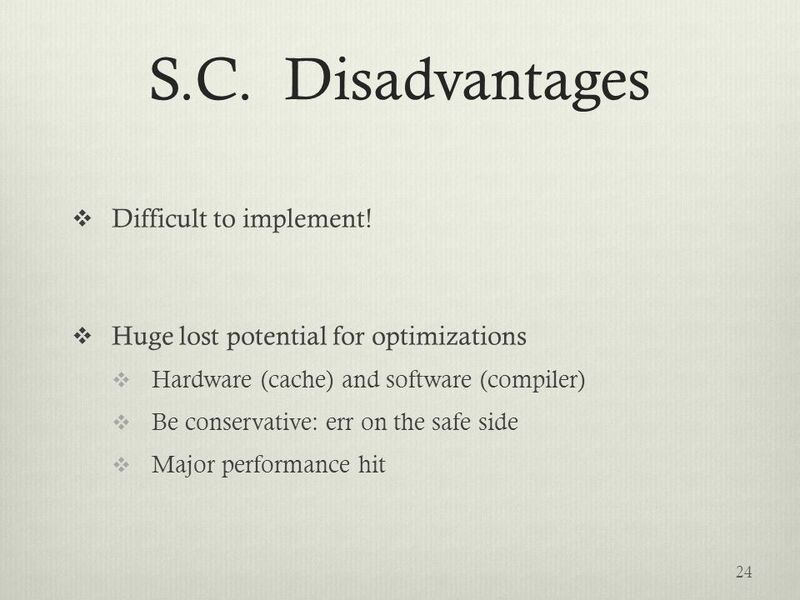 Cache Coherence in Scalable Machines (IV) Dealing with Correctness Issues Serialization of operations Deadlock Livelock Starvation. 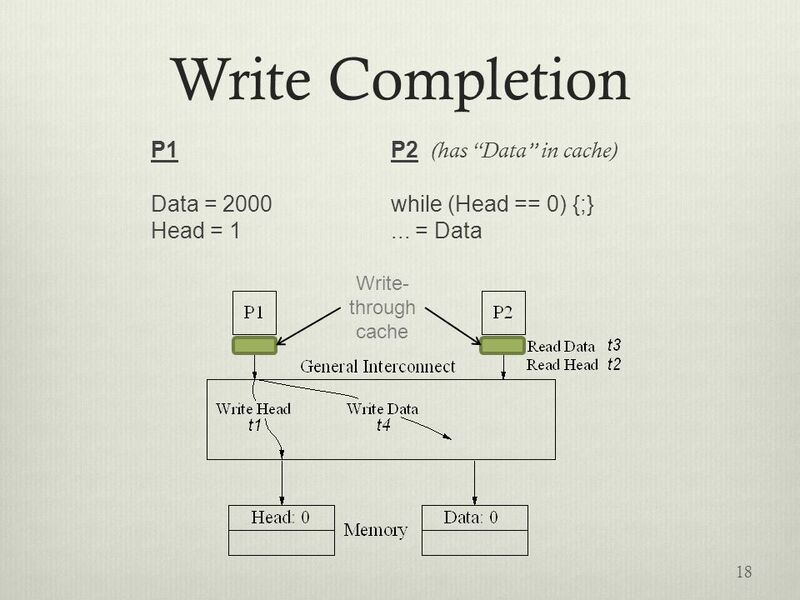 Lock-free Cache-friendly Software Queue for Decoupled Software Pipelining Student: Chen Wen-Ren Advisor: Wuu Yang 學生 : 陳韋任 指導教授 : 楊武 Abstract Multicore. 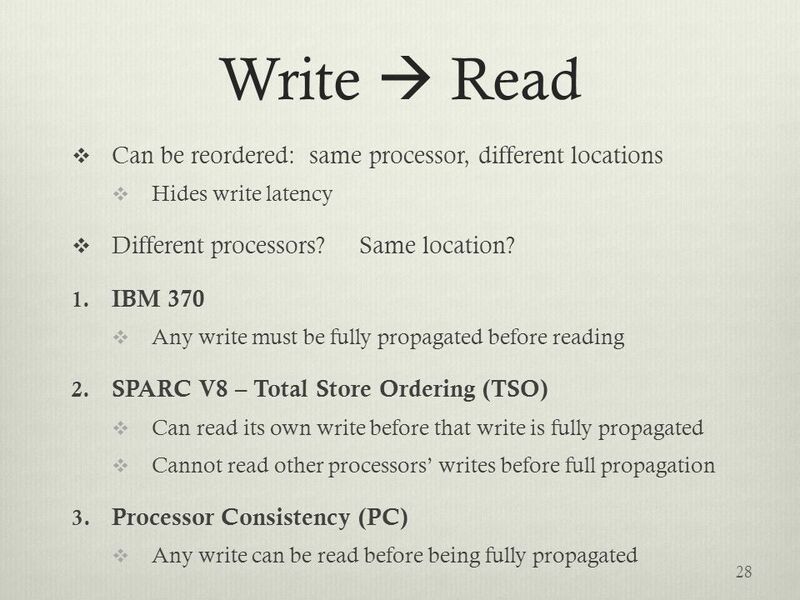 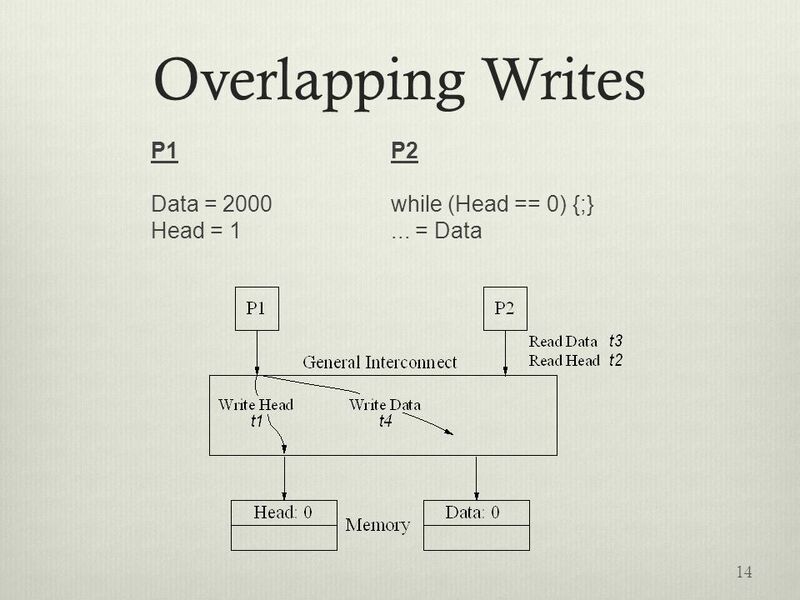 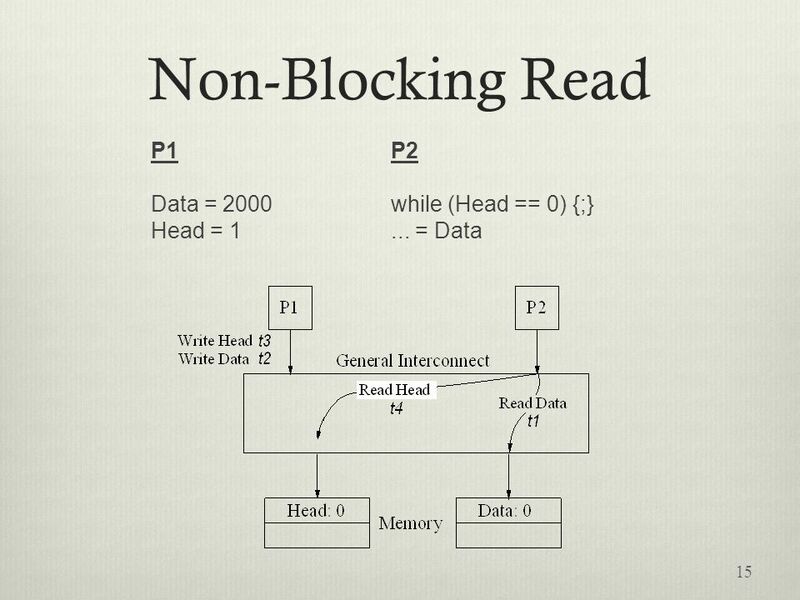 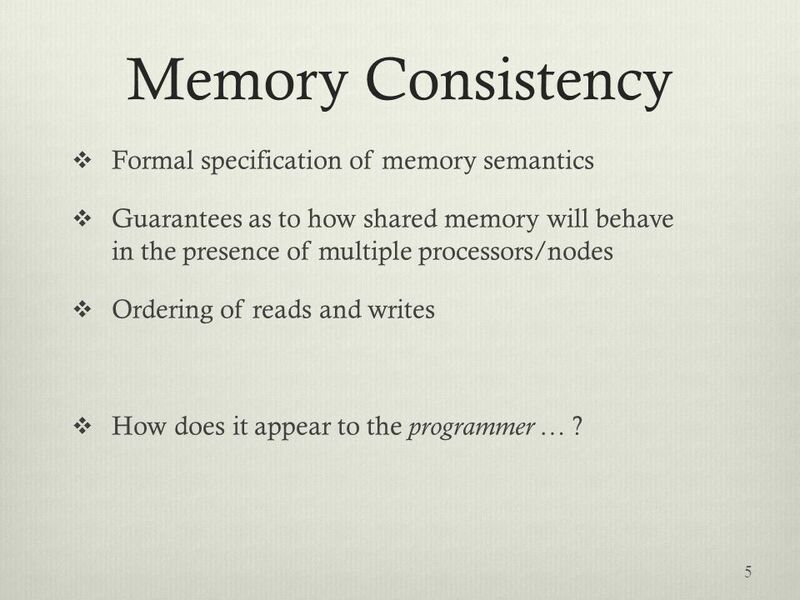 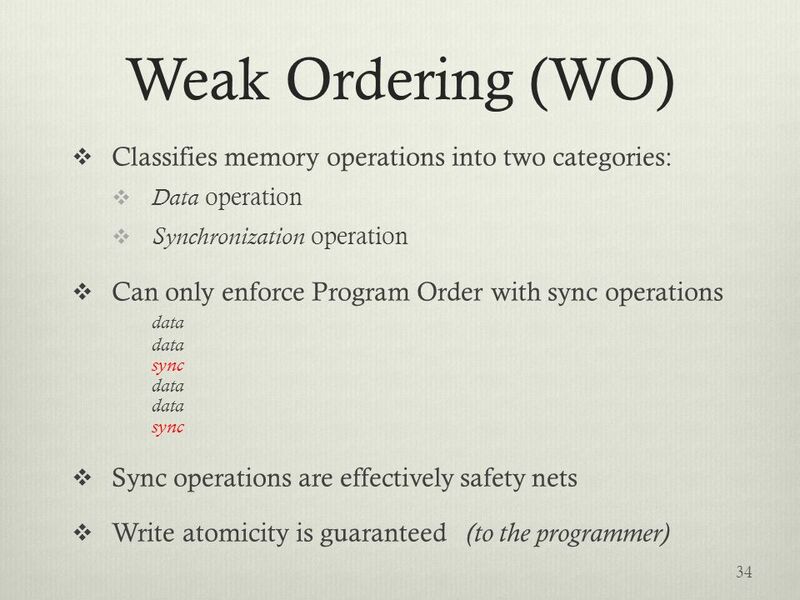 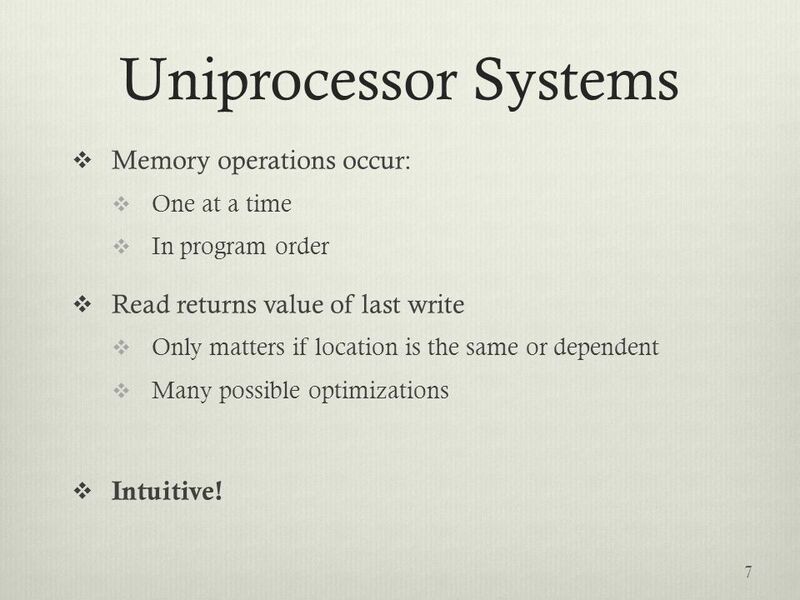 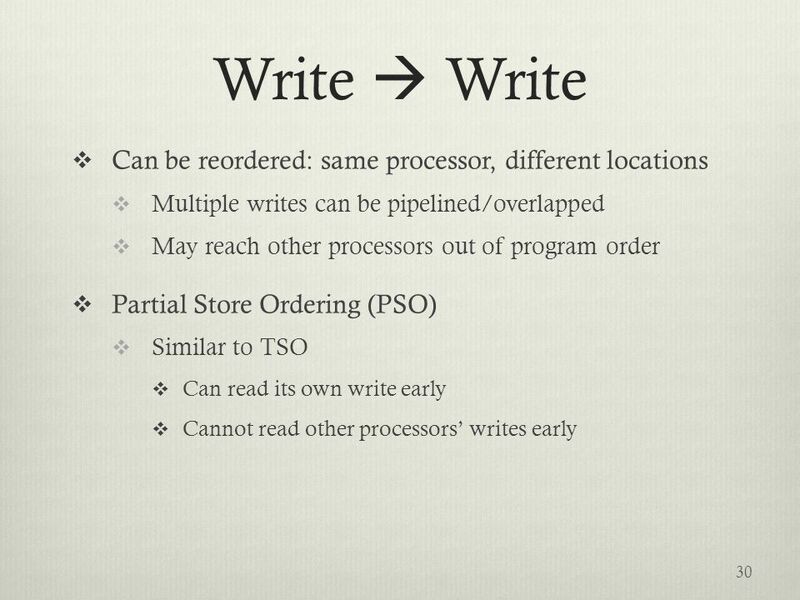 Fundamentals of Memory Consistency Smruti R. Sarangi Prereq: Slides for Chapter 11 (Multiprocessor Systems), Computer Organisation and Architecture, Smruti.